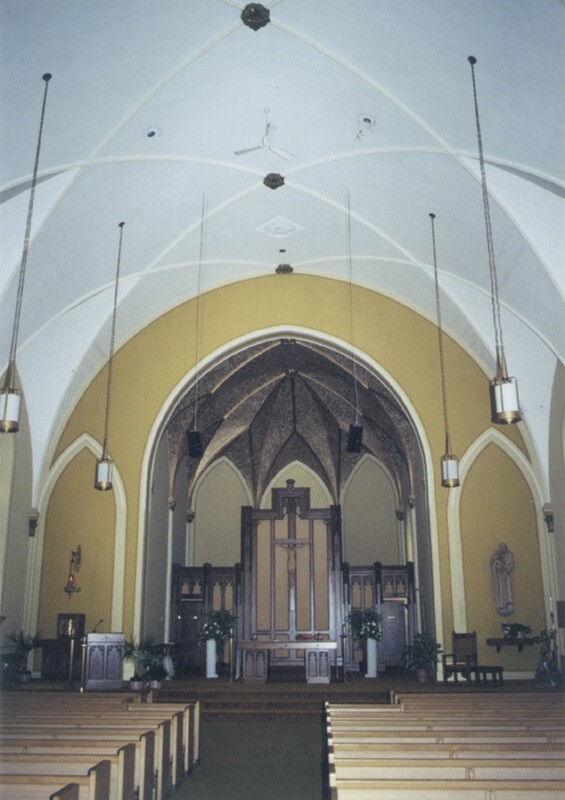 To create a new decorative scheme that enhances the original architectural elements in the church and provides a more uplifting worship environment for St. John the Baptist Catholic Church in Jefferson, Wisconsin. 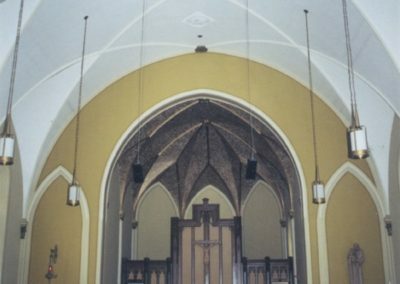 The existing decorative scheme contained flat, outdated colors and a dark, recessed sanctuary that resulted in a lackluster, compartmentalized space. The first phase of the renovation included the removal of the wooden reredos to expose a hidden window. The Studio designed decorative stained glass for the space, incorporating details from the existing stained glass windows. 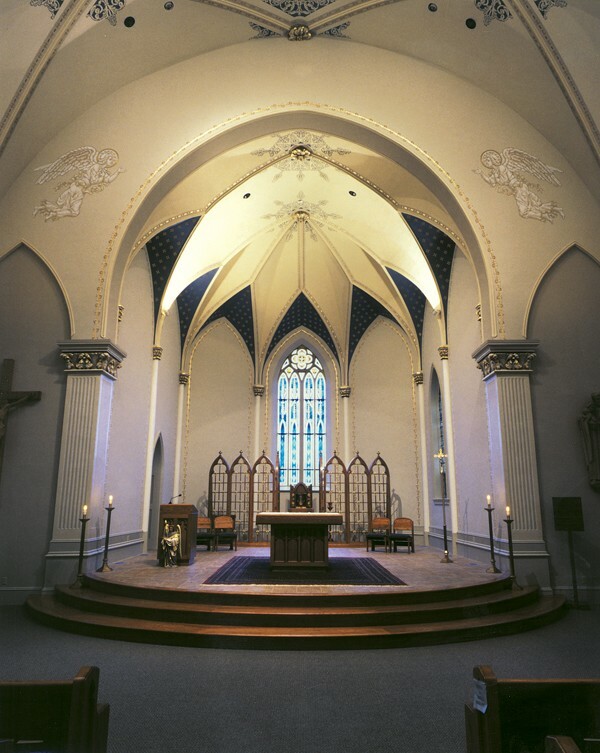 This brings filtered, natural light into the sanctuary, without distracting from the liturgy. The predella was extended, to bring the altar closer to the people, and a new, more delicate screen was designed. New column capitals were added at the proscenium arch, and trompe l’oeil (“fools the eye”) painting creates the appearance of fluting on the pilasters. Capital extensions now house up-lighting that enhances the decorative scheme. 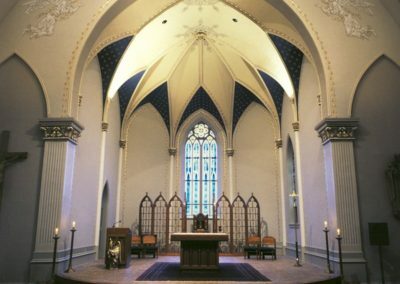 Stenciling, glazing and gold accents highlight the architectural details and create an inviting, inspirational worship space.